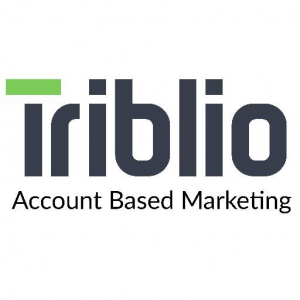 Triblio is an account-based marketing (ABM) software designed to generate demand and engagement from a user’s priority accounts. It enables users to target stakeholders in top-revenue-producing accounts to accelerate purchase journey through customized messaging, content, and calls-to-action. In this article, we cover Triblio reviews and pricing. Ready to get started? Request a demo. Users who gave Triblio a positive review said that it is a very useful tool for sales management. They also like its functionality for custom messaging with customers. Users who gave Triblio a negative review noted that while the software is equipped with helpful tools, it is still being continuously updated to provide more tools to help with business management. Triblio pricing is not published on its website. It has three available annual subscription options — Team, Enterprise Starter, and Enterprise Premium. Software similar to Triblio ranges from $1,000 to $5,000/month. The main differences between the plans are the length of expert coaching, number of user accounts, amount of contacts, and availability of premium features. Ready to try out Triblio? Request a demo. 6 Best Email Marketing Software 2018: Email marketing software is used to create and send targeted email campaigns to your customers. We compared the best email marketing software and identified the top six for your business. We evaluated price, list capabilities and segmentation, ease-of-use, analytics and reporting, app integration, customer service, and additional features and identified the best software overall. What is the benefit of Triblio’s ABM campaigns? The ABM software’s campaigns enable marketers to personalize their messaging and CTAs to specifically targeted accounts. It also helps them personalize customer experience, improve engagement, and accelerate buying decision. Pipeline acceleration is the strategy that an organization undertakes to increase the speed of accounts going through the sales process. Ultimately, pipeline acceleration is the process of increasing revenue. To achieve pipeline acceleration, an organization’s sales and marketing teams need to work together to create an acceleration campaign. Have you read these Triblio reviews and are still not sure if it’s the right fit for you? Read our reviews of all top marketing software providers or check out one of these three Triblio competitors. The product has great insightful information on who’s visiting our website and their activity. It’s platform for building out custom experiences based on a myriad of segments is so valuable. We have been able to present custom messaging to accounts and tailor the experience based off of account attributes. We have been able to successfully and easily provide relevant messaging to customers and prospects. Nothing I can currently think of. The company is still growing so some features are being minorly tweaked but nothing to say I dislike. They are constantly building new features! How many different features it has! We purchased for customized messaging and CTAs, I didn’t realize how much we could do with GA’s segments and content boards. So many different teams have been able to use than we originally expected.